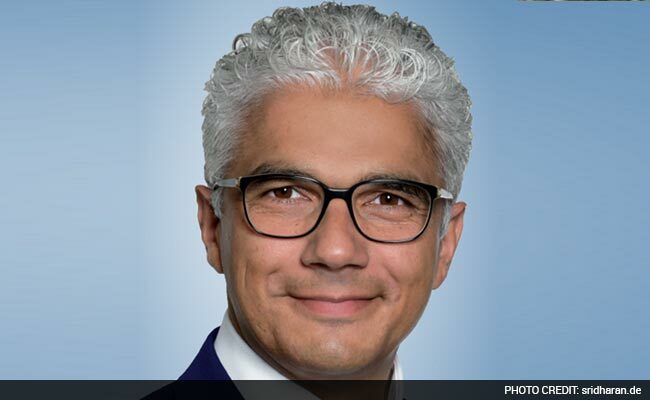 Germany: Ashok Sridharan, a mayoral candidate of Chancellor Angela Merkel-led Christian Democratic Union (CDU), has comprehensively won the election in Bonn, becoming the first person of Indian-origin to occupy the mayor’s office in a major German city. 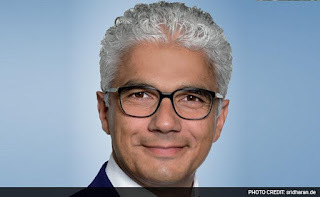 49-year-old Sridharan secured the absolute majority by polling 50.06 per cent of the votes in Sunday’s election in the former German capital, according to provisional results. His victory marks the end of more than 21 years’ rule of the city by the Social Democratic Party (SPD). Sridharan, who is the son of a migrant from India and a German mother, will take over the reigns of the city administration from the outgoing SPD mayor Juergen Nymptsch on October 21. Until now, he served as the treasurer and assistant mayor in the municipal administration of neighbouring town Koenigswinter. His absolute majority in the first round of the election and his strong lead over his two main opponents came as a surprise to many political observers, who predicted a close finish. His nearest rival Peter Ruhenstroth-Bauer of the SPD finished far behind him with a share of 23.68 per cent of the votes while Tom Schmidt of the Green party received a share of 22.14 per cent of the votes. Only around 45 per cent of the city’s 245,000 voters went to the polls to cast their votes, which was much less than the turn-out in the last election in Bonn in 2009, according to the election results.